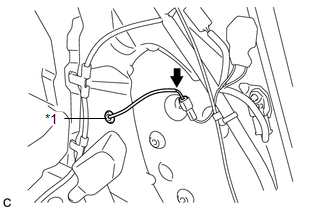 (a) Disconnect the rear speed sensor connector. 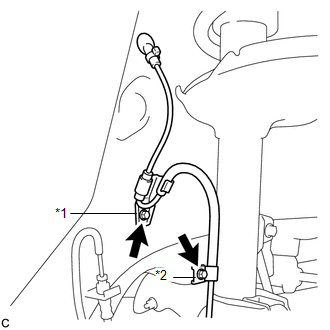 (b) Disconnect the grommet of the rear speed sensor wire from the hole of the wheel house. (c) Remove the 2 bolts, No. 1 clamp and No. 2 clamp from the body and absorber. 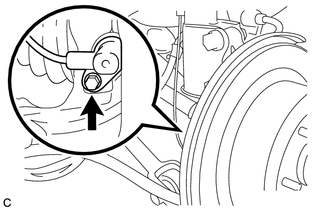 (d) Remove the bolt and rear speed sensor from the carrier.